The optional RC remote control unit can be used to provide direct push button access to any channel from your desktop; 4 or 8 button models. RC4 The optional RC4 remote control unit can be used to provide direct push button access to any channel from your desktop. 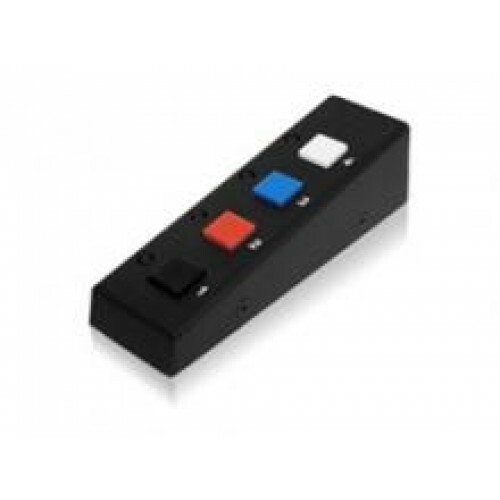 The RC4 remote control is supplied with a serial cable. RC4-8P8C The optional RC4-8P8C remote control unit can be used to provide direct push button access to any channel from your desktop. The RC4-8P8C remote control is supplied with a 10 foot cable that is used to link with the OPTIONS port on the rear panel of the unit. RC8 The optional RC8 remote control unit can be used to provide direct push button access to any channel from your desktop. The RC8 remote control is supplied with a serial cable.